Students in Vietnam, Cambodia, Thailand, and Myanmar shared recipes and photos of traditional cuisine from their respective cultures! To follow along with the topic of food discussed here, download our activity guide for the week’s corresponding lesson plan! Some popular dishes from Cambodia are amok, hu tieu, prahok, and minced pork rice. Fish is a strong staple of the diet in Cambodia. 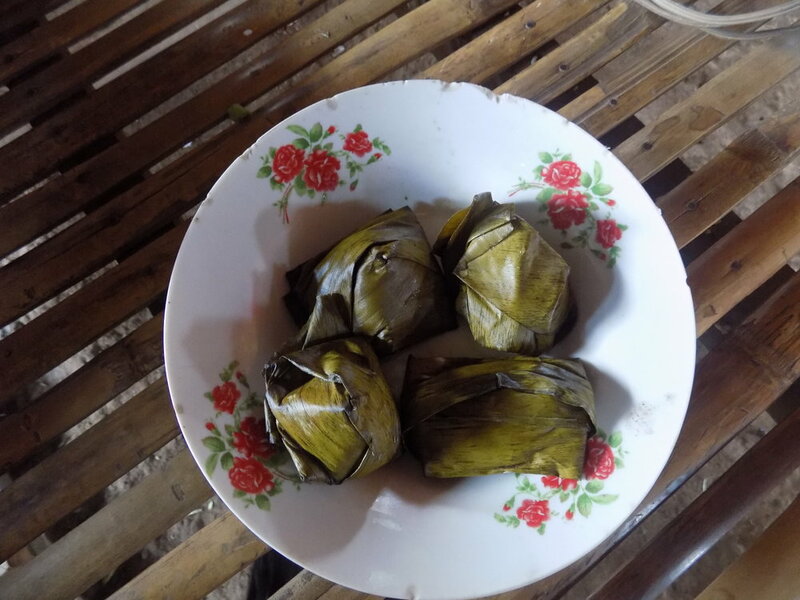 A student in Koh Khel took pictures of local ingredients and tried to document the experience of making Khmer food. Some popular dishes in Vietnam include fried rice, nem, phở gà, and bánh mì. In Khe Sanh, there’s a strong street food culture. You can find anything from traditional Vietnamese cuisine to pizza and hot dogs. Throughout the country there are many regional specialties. While most people think of pad Thai, cashew chicken, and Massaman curry, those are not staple foods throughout the country. In Mae La Noi and Huay Puung Mai, two Global Playground partner schools in the Northern region, many students enjoy “som tum”- a papaya salad -- and fried rice dishes. In many parts of the North, the staple meat is pork, and so that serves as the standard meat for many curry dishes. Southern Thailand hosts a greater Muslim population, and so chicken is a more common dietary protein. In Myanmar, rice is a staple food and fish is a common protein source. This gallery shows a typical kitchen in Paw Myar village and a Shan feast where Paw Myar villagers are celebrating the blessing of a new home in the community.